A family fishing adventure produced 20 blue sharks, the best estimated at 145lb. The big one was caught by Stuart Lane, who was fishing with his brothers Steve and Jon, plus dad Geoff. The quartet, from Bournemouth, Dorset, caught 20 blues, their first of the species, while aboard Rob ‘Chippy’ Chapman’s Bite Adventures, out of Penzance, Cornwall, with Geoff also catching one of more than 100lb. 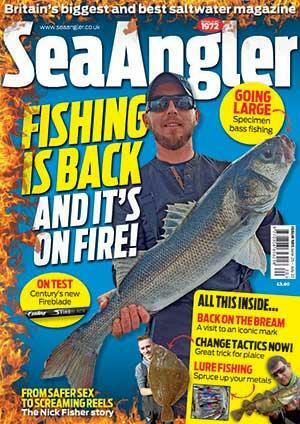 Using heavy spinning rods and fixed-spool reels, they baited mackerel flappers on circle hooks.